When hunting, you always want to be at a safe distance from wildlife. This is not only safe but also tests the hunter’s skills. For such a situation, you need yourself a good riflescope that offers a top notch hunting experience. This article will review the Nikon Prostaff 4-12×40 BDC which has a 40 mm lens, a safe distance in the event of a recoil, the great focus that Nikon is always known for and a light, compact design suitable for any rifle. You will learn more about the features, benefits, challenges and user reviews which will help you make an informed decision. This is the patented reticle from Nikon that lets you focus on even the most distant targets. You can find instructions on the best shooting range numbers for your BDC reticle from the Nikon website. Different rifles have different shooting settings. What makes this a unique feature and a favorite of any Nikon Prostaff 4-12×40 BDC review is that the see-through ballistic circles help you handle long range shooting while still presenting normal range images for closer shots. This is a feature that will train any hunter about accurate shooting aim. It is lightweight and is 14.1 inches long. Whether it is a bright sunny day, a foggy morning or late in the evening, the Nikon Prostaff 4-12×40 BDC offers great picture thanks to high resolution imaging. When doing some long range shooting, you need a riflescope that can offer versatile magnification. It zooms from 4-12x on a 40mm lens which makes shooting as far as 600 yards possible. This is the perfect riflescope for long range shooting rather than short range targets. When it comes to the multicoated optical system, it offers 98% light transmission which means that even the poorest visibility conditions are helped by this light boost. The great thing noted in any Nikon Prostaff 4-12×40 BDC review is that this is a product that can be used on any type of rifle. This means that some rifles pack more power than others. It is for this reason that this Nikon riflescope offers a quick focus eyepiece with 3.7 inch eye relief. This keeps you from straining your eye and protects it from any recoil effect. For those sunny days, you can get a sunshade option. In addition, the nitrogen-filled, O-ring sealed housing makes it perfect for use in any conditions because it is waterproof, fogproof and shockproof. The Nikon Prostaff 4-12×40 BDC has a smooth selector ring. This means you can quickly zoom in and out while you use your rifle. In addition, the precise hand-turn 1/4-MOA click adjustments enables quick and simple field adjustments while on the hinting range, and it is protected by a seal cap to avoid the hand-turn from being spoilt. These 2 features are key especially when making split-decisions during hunting. You need quick and easy to use knobs and hand-turn adjustments that do not interrupt your shot. In fact, you can maintain or adjust your settings even during recoil. Nikon is known to have some of the best photography and recording equipment in the market today, and the Nikon Prostaff 4-12×40 BDC is no exception. What makes it a favorite among hunters is the black matte finish which gives it a smooth and professional looking finish that looks good on top of any rifle. 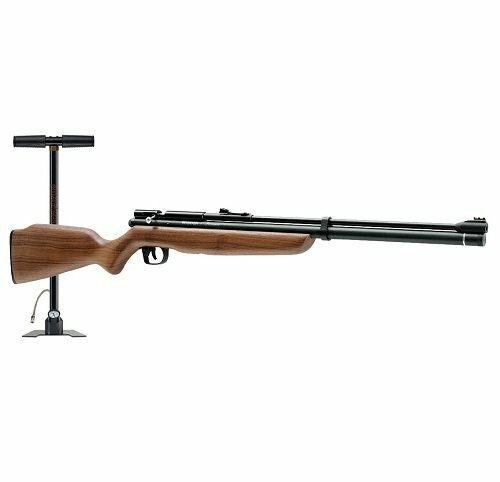 This riflescope is also lightweight at 15 ounces and is only 12.4 inches long. The precise hand-turn, as mentioned, is protected by a cap and the casing ensures the product is not only waterproof but also dustproof and shockproof, which means it is resistant to damage. The patented BDC recticle offers sharp and long distance range shooting capabilities. It offers 98% light transmission for all shooting conditions. The black matte finish and the protective casing ensures that the Nikon Prostaff 4-12×40 BDC is protected from the elements. The easy to use knobs for adjustment ensures that you have a flawless shooting experience. Multizoom capabilities means you can enjoy those long range shots from a comfortable distance. Quick focus eyepiece with recoil relief and the sunshade option protect your eyes from the harsh environments or from straining. It can be used on any rifle. While it is perfect for all types of rifles, the best results are noted with higher performance rifles. It works better with mid to long distance shots than close range ones. A: Yes, it has a lifetime warranty. Q: Does the hand-turn require additional tools to operate? A: No, the hand-turn is easy to use without tools. Q: Where can I get the details for my rifle? A: You can visit the Nikon website, choose your rifle and get the details. When heading to the shooting range, you need to have a riflescope that will work for mid and long range hunting. Because Nikon is a trusted brand, I would definitely recommend the Nikon Prostaff 4-12×40 BDC for all your hunting needs. With its matte finish, waterproof exterior, multi-zoom features, eye relief in the event of a recoil, and 40mm lens, the Nikon Prostaff 4-12×40 BDC riflescope is well worth it. Should your hunting trip be a bit extreme, you can make use of the lifetime warranty that comes with the riflescope. It is readily available on Amazon where you are able to check out additional reviews, most of which are positive and from seasoned hunters. 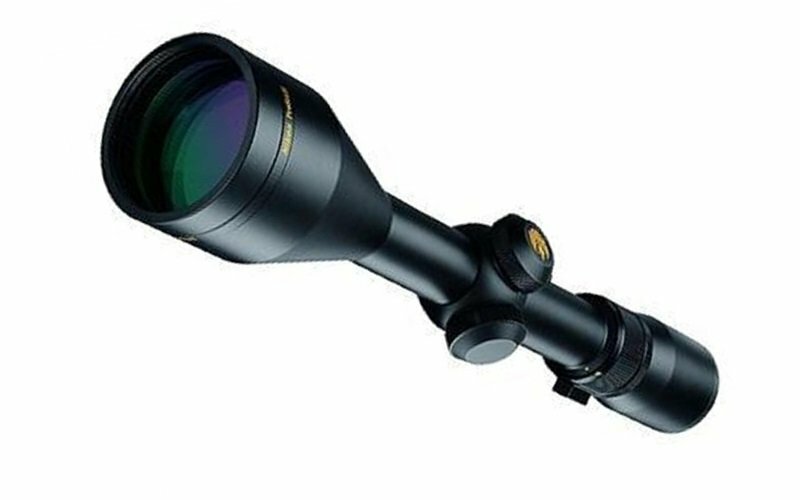 For few other great riflescopes, read our Best Rifle Scopes Review and Buying Guide. I have a gun shop and carry Leopold, zeiss and nikon. I have a 4X12X40 BCD on a Tikka 6.5X55 SE and for the money you just can’t beat it..